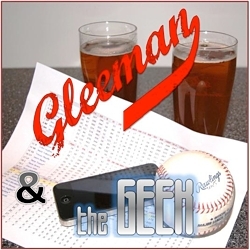 • It might have been the low point of the Twins' season had they been no-hit by Zach Stewart last night, but ... well, I've lost count of low points by now. Instead they merely lost both ends of a doubleheader to their biggest rival while scoring one total run, losing to Johan Santana trade castoff Phil Humber and a rookie with a 5.48 ERA. Not only are the Twins 8-27 in their last 35 games, they've now plummeted past the Royals into last place in the AL Central. Overall this season the Twins have scored zero or one run in 26 percent of their games, which is tied with the Mariners for worst in the league. And as bad as that sounds they've been far worse recently, scoring zero or one run in 17 of 33 games since August 1. To put that in some context, consider that the Yankees (13), Diamondbacks (15), Tigers (16), and Orioles (16) have scored zero or one run fewer than 17 times all season. What a mess. • Jim Hoey, Kyle Waldrop, and Brian Dinkelman were the first batch of reinforcements after September 1 roster expansion, Liam Hendriks joins the team for his debut tonight against the White Sox, and the Twins have also promoted Joe Benson and Chris Parmelee to the majors. On my preseason list of the Twins' top 40 prospects Benson ranked No. 6 and Parmelee was No. 19, and they've both improved their stock since then. Benson in particular has emerged as arguably the team's best prospect among players who're close to MLB-ready, hitting .285/.387/.491 with 16 homers in 114 games at Double-A after the Twins had the 2006 second-round pick repeat the level despite batting .251/.336/.527 with 23 homers in 104 games there last year. He doesn't project as a star and high strikeout rates are a potential red flag, but Benson does a lot of things well and looks like a solid regular. He's played primarily center field at Double-A, but figures to be a right fielder in the majors and should combine plus range with a strong arm. Offensively he'll hopefully make up for mediocre batting averages with 20-homer power, solid plate discipline, and good speed, although so far Benson hasn't been an effective basestealer. At age 23 and with zero Triple-A experience he may not be quite ready for the majors, but Benson is close enough to take a long look. Parmelee was the first-round pick in that same 2006 draft and initially looked like a rare Twins prospect with big-time pop and excellent plate discipline, but instead he's worked to cut down on his strikeouts while trading power for a higher batting average. He hit just .250 with a .200 Isolated Power through four pro seasons, but has hit .286 with a .134 Isolated Power during the past two years. To put that in some context, Joe Mauer has a .148 career Isolated Power. Whether that trade-off was smart for Parmelee's chances of becoming an impact bat, a higher batting average and fewer strikeouts definitely makes him more likely to factor into the Twins' plans. Parmelee, like Benson, spent two seasons at Double-A, hitting .282/.355/.415 with 21 homers in 262 games. Parmelee's upside is tough to evaluate because he's changed so much, but obviously slugging .415 at Double-A isn't a great sign for a first baseman. Considering he didn't reach the majors until age 26 and was never even much good at Triple-A it's remarkable that Tolbert has hung around this long. He epitomizes "replacement level." • Arizona Fall League rosters were announced and the Twins are sending Aaron Hicks, Brian Dozier, Chris Herrmann, Cole DeVries, Scott Diamond, Dakota Watts, Brett Jacobson, and Bruce Pugh. AFL participation isn't necessarily meaningful in terms of where someone stands in the immediate plans. Last year they sent seven players to Arizona and only Ben Revere has seen major time with the Twins, although the others included Benson, Parmelee, and Waldrop. Hicks is the only top-10 prospect in the bunch and he's coming off a disappointing year, but it's still an intriguing mix. Diamond is already in the majors after the Twins gave up hard-throwing reliever Billy Bullock to the keep the Rule 5 pick. Dozier has forced himself onto the prospect radar and is suddenly a Ron Gardenhire favorite. Jacobson was part of the J.J. Hardy trade. Herrmann led the organization in walks. DeVries, Pugh, and Watts are future bullpen options. • Trevor Plouffe is now 2-for-5 stealing bases for the Twins after going 12-for-25 in four years at Triple-A. He's batted .264/.315/.431 with 15 extra-base hits in 156 plate appearances since returning from the minors in July and has even looked somewhat improved defensively when he doesn't forget how many outs there are, but there's no need for Plouffe to do any running. Only in Gardenhire's fantasies is every middle infielder automatically an effective basestealer. • Michael Cuddyer continues to receive seemingly endless praise for playing through injuries even though he's missed 12 of the past 24 games and is hitting .171 with zero homers and 16 strikeouts in his last 20 games. Shocking as it may seem, sometimes even tough guys who're beloved by the local media still have to sit out games and sometimes playing through injuries just means playing poorly. 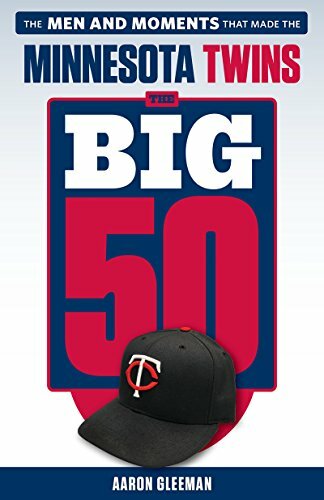 • Miguel Sano and Eddie Rosario did some historic mashing for rookie-level Elizabethton, with Sano homering 20 times in 66 games and Rosario homering 21 times in 67 games. That type of power is obviously extremely impressive no matter the context, but in this case it's unheard of, as only two Appalachian League hitters had reached 20 homers in the past 20 years. Historic or not rookie-ball numbers should be taken with huge grains of salt, but that's pretty amazing. • Back in August of 2008 the Twins sent Mark Hamburger to the Rangers for Eddie Guardado, who was a bust in his second go-around in Minnesota and appeared in just nine games. At the time Hamburger was an undrafted reliever in rookie-ball, which is exactly the type of prospect teams part with for washed-up 37-year-olds, but in the three years since then he's developed into a reasonably promising low-leverage bullpen arm and Texas called him up last week. Advertise your product, service, local business, or website directly to thousands of people each day by becoming an AG.com "Sponsor of the Week." Also in this series: 1-5, 6-10, 11-15, 16-20, 21-25, 31-35, 36-40. Taken by the Rays in the 48th round of the 2009 draft after leading his junior college team to a national title, Nate Roberts opted against signing and headed to High Point University, where a monstrous junior season led to the Twins picking him in the fifth round last June. Roberts hit .416 with 19 homers and 36 steals in 56 games, leading the country in on-base percentage (.573) and runs (88) while taking home Big South conference player of the year honors. Despite that spectacular production Baseball America's pre-draft report on Roberts noted that "scouts were concerned that he lacks a standout tool and for some teams he was considered more of a senior sign" than a junior worth drafting as high as the fifth round. That may still prove true, of course, but so far so good as Roberts debuted at rookie-level Elizabethon after signing for $150,000 and hit .336/.444/.547 with five homers and five steals in 35 games. Thanks to great plate discipline and pitchers being scared of him Roberts drew 53 walks in 56 games at High Point and was also hit by a remarkable 25 pitches so not surprisingly he led the Appalachian League in on-base percentage and ranked 12th in walks despite playing only 35 of a possible 65 games. Dominating in a lower-level college conference and then beating up on rookie-ball pitchers hardly guarantees future success, but it does make Roberts very intriguing. Dakota Watts had a 3.65 ERA and 68-to-33 strikeout-to-walk ratio in 67 innings spread over 12 starts as a junior at Cal-State Stanislaus and the Twins picked him in the 16th round of the 2009 draft, shifting the 6-foot-5 right-hander to the bullpen. Watts hasn't stayed very long at any one place, spending time at five different levels despite logging a grand total of just 111 pro innings in less than two full seasons, and reached Double-A at age 22. His overall performance has been strong, with a 3.50 ERA and 9.5 strikeouts per nine innings, but Watts' numbers would look a whole lot better if not for being clobbered in a pair of brief but ugly stints as part of his frequent level changes. Between his five outings at high Single-A in 2009 and two appearances at Double-A last season he allowed 17 runs in 10.2 innings. In his other 63 games Watts has allowed 29 runs in 100 innings, which works out to a 2.60 ERA. Watts will definitely need to dramatically improve his control at some point, as he's handed out 5.6 walks per nine innings, but he's missed a ton of bats with a mid-90s fastball that Baseball America ranks as the best in the Twins' system and projects as a potential late-inning reliever if things break right. If nothing else he's worth keeping an eye on as one of the rare pitching prospects not to fit the Twins' preferred mold and is capable of approaching triple-digit heat. After putting up impressive numbers in the Venezuelan summer league and rookie-ball during his first four pro seasons Anderson Hidalgo moved up to full-season ball last year and hit .316 with 29 extra-base hits in 81 games at low Single-A before missing the final two months with a fractured right forearm. He had the third-best OPS in the Beloit lineup behind Angel Morales and Aaron Hicks, and only 21 players in the entire Midwest League topped his .818 mark. He hasn't shown a ton of home run power yet, but Hidalgo has batted at least .290 in each of his five professional stops while showing decent plate discipline and control of the strike zone for a young hitter and averaging 40 doubles per 550 at-bats. As a 21-year-old at low Single-A last season his overall production was 15 percent above the Midwest League average and in 2009 he was 20 percent above average in the rookie-level Appalachian League. Hidalgo isn't close to the big leagues despite being signed out of Venezuela way back in 2006, but he's consistently thrived versus low-level competition and potentially could reach Double-A by the end of this season if he continues to play well. Hidalgo has played exclusively third base in the past two years, which is interesting since he's 5-foot-9 and only two active big leaguers 5-foot-10 or shorter have even 300 games at third base: Chone Figgins and Placido Polanco. In the span of just 18 months Kane Holbrooks went from being a 21st-round pick out of Texas State University to solidly on the prospect map following a breakout 2010 season that saw him begin the year at low Single-A and end it at Double-A while posting a 2.10 ERA and 110-to-29 strikeout-to-walk ratio in 103 innings. Statistically he had the third-best season of any pitcher in the Twins system with at least 100 innings, behind only Liam Hendriks and Kyle Gibson. Holbrooks has racked up 139 strikeouts in 128 pro innings, which is remarkable for someone who didn't miss many bats in college. As a senior at Texas State he went 10-1 with a 3.29 ERA in 16 starts, but Kolbrooks managed just 57 strikeouts in 101 innings. He's nearly doubled that strikeout rate as a pro and has the raw stuff to match, as the 6-foot-3 right-hander's fastball was regularly clocked in the mid-90s while he split time between the rotation and bullpen. He was used primarily as a reliever prior to arriving at high Single-A in the second half and to stick as a starter Holbrooks needs to develop his offspeed offerings, but Twins vice president of player personnel Mike Radcliff told Phil Miller of Baseball America that his fastball "is a tent stick that can be a foundation for a good career" and also noted he "got our attention" and "is in our plans now" even if "we might not have had high expectations when we drafted him." Selected in the fourth round of last year's draft, Eddie Rosario was born in Puerto Rico on the same day the Twins clinched the division title on the way to the World Series in 1991. Prior to the draft Baseball America called Rosario "the best pure hitter on the island" and compared him to Bobby Abreu for his "sound approach at the plate" and solid left-handed bat. He signed for $200,000 and debuted impressively in the rookie-level Gulf Coast League. Rosario batted .294, drew a fair number of walks, showed some pop with 16 extra-base hits in 194 at-bats, and swiped 22 bases in 51 games. Those raw numbers aren't jaw-dropping, but he topped the GCL average by 111 points of OPS as an 18-year-old and also saw most of his action in center field, although the consensus seems to be that Rosario will eventually move to a corner spot full time once his six-foot, 170-pound frame fills out. While not quite a success story yet Angel Morales has developed into one of the Twins' best outfield prospects since they nabbed him out of Puerto Rico in the third round back in 2007, so hopefully Rosario can follow a similarly methodical path to top prospect status. He's a long way from the majors and may not even get his first crack at full-season competition until 2012, but Rosario is definitely among the low-minors hitters worth keeping an eye on.